Listen: Catfish and The Bottlemen's new song 'Fluctuate'. 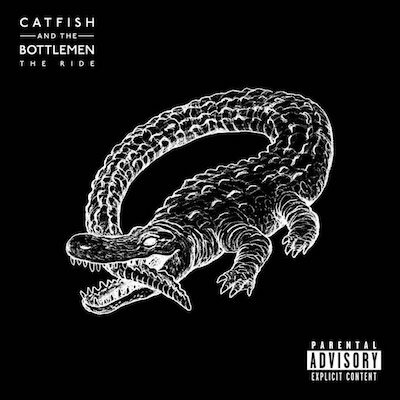 Catfish and The Bottlemen have shared a new song, 'Fluctuate' - lifted from the band's upcoming album, 'The Balcony' (out on April 26th) - which has been a part of the band's live repertoire since May 2018. About playing more new songs live before the release of their new album, the band's Van McCann says: "When I’m writing a new song, the audience is all I really see. I get a vision of them in my head before I properly hear the melody or anything like that. If we put three or four of these songs in the set, it’s going to be so strong. This run of shows we have coming up is just perfect timing, getting the chance to play new songs that go hand in hand with a wild night out." MusicInterview: Catfish And The Bottlemen on touring, success, and 'The Ride'. MusicMust-watch: Catfish And The Bottlemen's acoustic 'Cocoon'. MusicWatch: Catfish And The Bottlemen x Glastonbury 2016. MusicCatfish And The Bottlemen debut new song 'Fluctuate' live. MusicWatch: Ewan McGregor covering Catfish And The Bottlemen’s ‘Hourglass’.